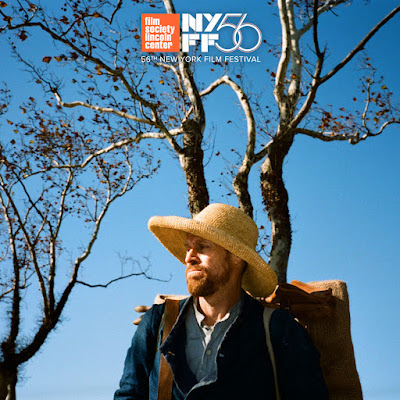 The Film Society of Lincoln Center announces Julian Schnabel’s At Eternity’s Gate as Closing Night of the 56th New York Film Festival (September 28 – October 14), making its North American premiere at Alice Tully Hall on Friday, October 12, 2018. CBS Films will release the film in November 2018. Julian Schnabel’s ravishingly tactile and luminous new film takes a fresh look at the last days of Vincent van Gogh, and in the process revivifies our sense of the artist as a living, feeling human being. Schnabel; his co-writers Jean-Claude Carrière and Louise Kugelberg, also the film's editor; and cinematographer Benoît Delhomme strip everything down to essentials, fusing the sensual, the emotional, and the spiritual. And the pulsing heart of At Eternity’s Gate is Willem Dafoe’s shattering performance: his Vincent is at once lucid, mad, brilliant, helpless, defeated, and, finally, triumphant. With Oscar Isaac as Gauguin, Rupert Friend as Theo, Mathieu Amalric as Dr. Gachet, Emmanuelle Seigner as Madame Ginoux, and Mads Mikkelsen as The Priest.